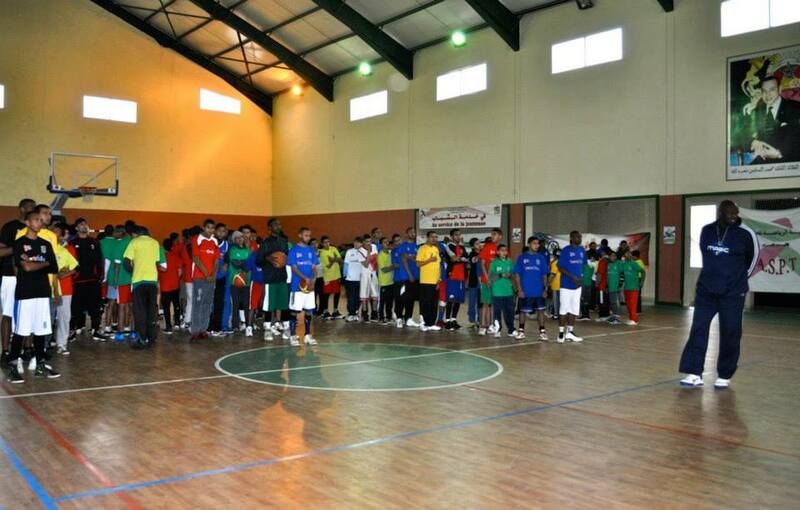 Fez - The US Embassy and TIBU Maroc host NBA and WNBA players in youth basketball training program across Morocco. Liz Yaslik is a Middle East and North African researcher studying Arabic at the Arabic Language Institute in Fez. Fez – The US Embassy and TIBU Maroc host NBA and WNBA players in youth basketball training program across Morocco. The U.S. Embassy in Rabat and NBA Cares teamed up with TIBU Maroc to bring two American basketball stars to the basketball courts of Morocco for a four-day, four-city program hosted in various cities around Morocco aimed at promoting growth of the sport throughout the country. The professional players spent time shooting hoops with young Moroccan athletes and taught them the skills and logistics of the game. The sports envoy made stops in Rabat, Fez, Azrou and Casablanca to conduct three-on-three basketball games with youth from the local communities. On Wednesday, about 200 kids arrived at an indoor basketball court in Azrou to take part in the third day of the basketball clinic. The young players kicked off the afternoon events with a series of warm-up exercises and later split into groups to practice shooting, ball handling and team coordination. The professional basketball players ran drills at a number of stations in the gymnasium, giving pointed explanations and cheering as the kids practiced lay-ups and standard defensive moves on the court. 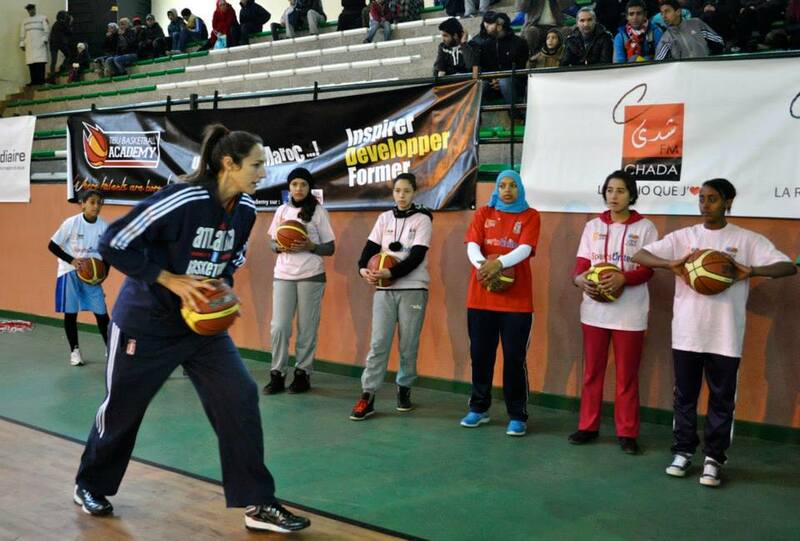 Ruth Riley, a forward:center with the Atlanta Dream, demonstrates basketball passing techniques to Moroccan girls in Azrou. Ruth Riley, a forward/center with the WNBA’s Atlanta Dream, coached a group of young Moroccan girls on the components of dribbling and passing the ball through a series of coordinated team drills while Adonal Foyle, former center for the Orlando Magic, instructed some of the teenage boys on the angles of lay-ups and tactics to beat a defender and drive to the hoop. 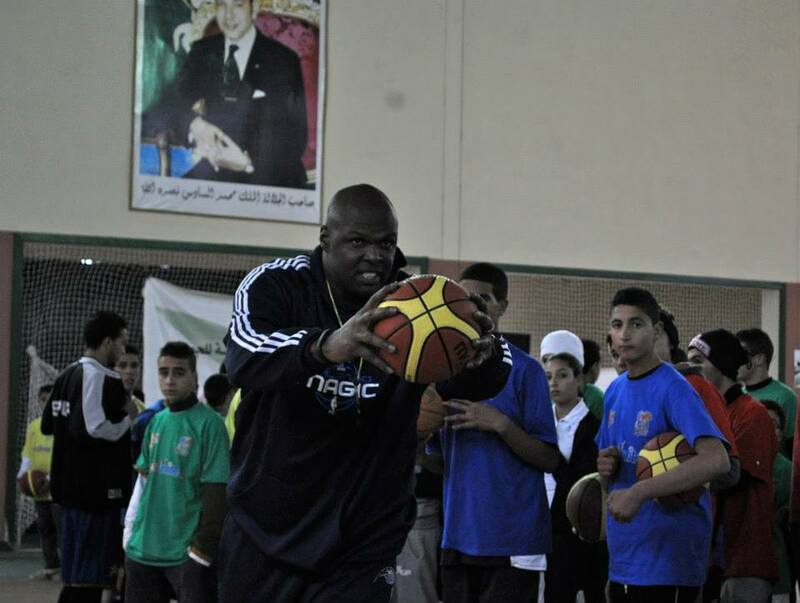 Adonal Foyle, former center for the Orlando Magic, teaches young Moroccans the fundamentals of basketball in Azrou. One of the main aspects of the program is not only to enhance the children’s athletic abilities but also to give them an opportunity to learn lessons that can be used outside of the basketball court. Riley said young players are able to gain life skills by participating in a team and use those skills in everyday society. “Sports can teach you a lot of different things; teamwork, how to work well with others, how to set goals and overcome adversity, and just believe in yourself,” Riley said.